It is a fairly centralized location and I have been to meeting with several groups there and you can get a bite to eat if you wish. If there are other suggestions, please let me know soon because I’ll have to see if one of the meeting rooms are available. I have attached several items of importance for you and your members to review. The most important is the 2016 Voluntary Service Agreement. If your organizations current representative could review, sign, date the form and send it back to me as soon as possible that would be a great assistance. I would like to present them to my District Ranger for approval before the annual meeting. This is very important! We will review 2016 work calendar, safety items, update daily sign-sheets, trail work reporting sheets, future projects, and any other trail topics you would like to discuss. 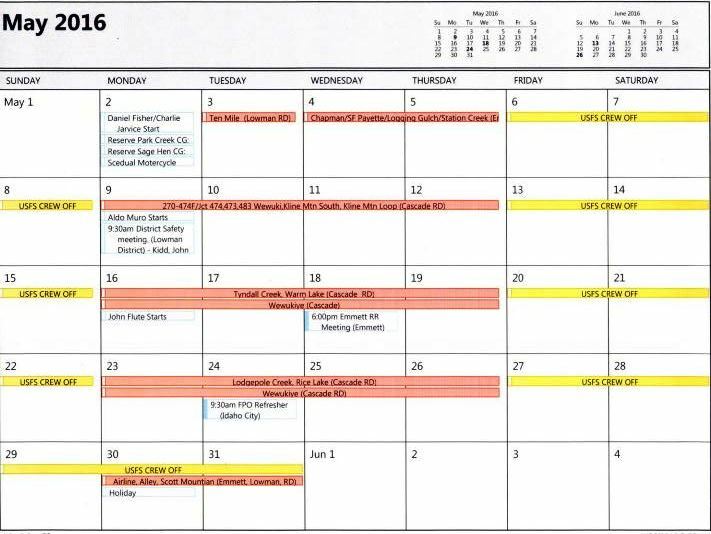 If you have additional work days for me to add to the calendar please let me know. I would like to staff as many of your projects as possible. If you know of any other individual who would like to attend, please pass this information along. Thanks again for all of your support and help! I am looking forward to seeing all of you this season.